At B&K Timber, we believe that the addition of beautiful bespoke wooden gates can transform the exterior of your property, creating a great first impression as visitors enter your garden or driveway. 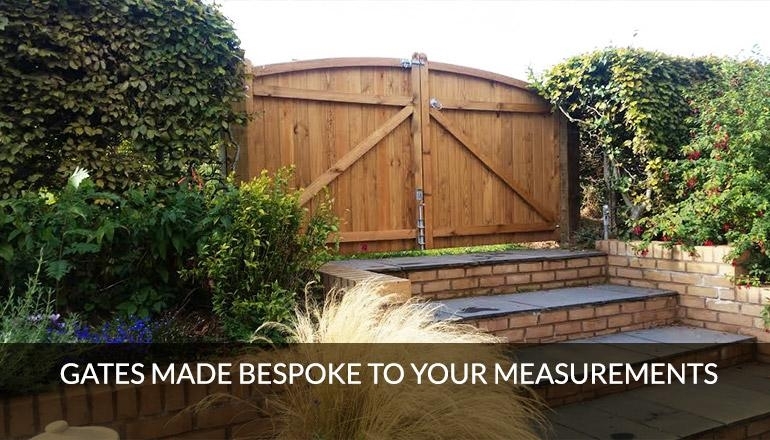 We have been lovingly crafting quality bespoke wooden gates for customers in Staffordshire and surrounding areas for over 30 years, so you can be confident that you will be receiving only the highest quality of craftsmanship with B&K Timber. With B&K Timber we guarantee that you will be receiving a high quality product. All of our bespoke wooden gates are manufactured from carefully sourced sustainable red wood timber grown in Scandinavian forests. We take great care to ensure that our gates are made from only PEFC and FSC certified wood, you can feel proud of your bespoke garden gate knowing that it is sustainably sourced. Winterly Driveway Gate or our Garden Woodland Gate. Alternately, if you’re looking for something more simple and quaint why not look at our Garden Sherwood Gate which looks beautiful surrounded by plant life. Whatever your style or requirements, we have something for everyone here at B&K Timber. With our bespoke wooden gates, you are guaranteed to impress. With our garden gate builder and helpful tips and advice online, creating your own unique bespoke wooden gate could not be easier. With free delivery, now really is the perfect time to order your very own bespoke wooden gate! If you would like more information on our bespoke wooden gates, please contact a member of our friendly team today.